Here are the selected products as the outputs of JST’s projects. 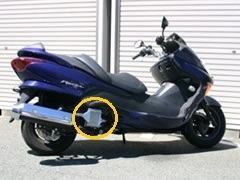 The system comprises a new tubular solid oxide fuel cell (SOFC) and a new thermoelectric conversion element. The SOFC can generate electricity from the trace quantities of unused fuel in exhaust gas. The thermoelectric element can also generate electricity from the heat of the exhaust gas and SOFC. The SOFC comprises an anode, solid electrolyte and cathode inside and exhaust gas is supplied internally from an internal combustion engine. The thermoelectric element is formed of an SOFC outer surface, and the p-type element performs as the cathode of the SOFC. Improving the efficiency of electric power generation is expected to find a wide range of applications for the effective utilization of exhaust gases from factories and so on, as well as cars and motorcycles. J-TEC’s autologous cultured cartilage JACC also received the government approval in July 2012, and is listed as an item covered by the national insurance since April 2013. The therapeutic technique of autologous cultured cartilage transplantation was established by Professor Mitsuo Ochi of Hiroshima University, and the technique was transferred to J-TEC. 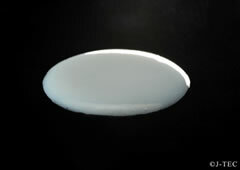 Small amount of cartilage is taken from the patient’s knee, and cultured after having been mixed with atelocollagen gel and shaped into a three-dimensional form. J-TEC is a bio-venture company, possessing all of the functions including research and development, regulatory development, manufacturing, sales, and post-marketing surveillance. J-TEC was founded in February 1999 on the premise to develop regenerative medicine based on tissue engineering, and is the only company in Japan with a QMS compliant facility capable of producing tissue-engineered medical products. 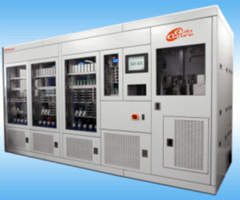 Kawasaki Heavy Industries, LTD. have developed and commercialized the automatic cell processing system “Auto Culture”. The system comprises cell observation, medium change, subculture and harvesting. The process are completely automated by image processing and clean robots. A wide variety of adherent cells including iPS cells can be cultured continuously 24 hours x 365 days with stable quality and repeatability. A maximum of 29 kinds of cell can be operated simultaneously by assigning protocols and media in the system. The automatic cell processing system for clinical use is currently under development, and the medical application using automatic cultured cells will be realized near future. 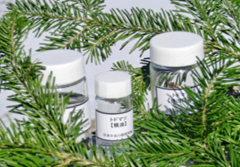 “Japan Aroma Laboratory Inc.” together with Forestry and Forest Products Research Institute have developed the new distillation method for the air purifying essential oil from the thinned out coniferous trees and branches abandoned in forests. This distillated natural products are able to eliminate the pollutant like nitrogen dioxide, just by spraying it in the air. Moreover it can widely be useful for other applications. “The microwave vacuum controlled extraction apparatus” newly developed by “Japan Aroma Laboratory Inc.” enabled the extraction of more useful components for air purification. 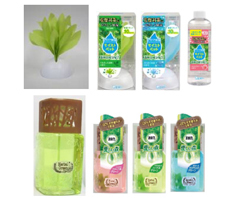 “Japan Aroma Laboratory Inc.” established the new technology bland “Clearforest”. “Clearforest” explores the potential of forests, and provides the concepts how to promote our life with using this technology. Also, it’ll contribute to the improvement of Japanese forest resources. 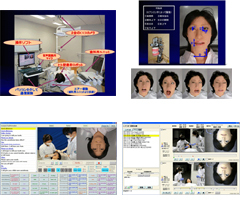 The J.Morita Manufacturing Corp. has developed and released a dental training and simulation system incorporating a humanoid patient robot for use in dental education. The “SIMROID®” system will be an essential tool for training aspiring dentists allowing them to practice a wide range of comprehensive skills. SIMROID® is composed of a humanoid patient robot, a dedicated pc with specialized GUI software, a pair of CCD cameras for observing the oral cavity and patient-dentist interactions, and finally a dental treatment unit. 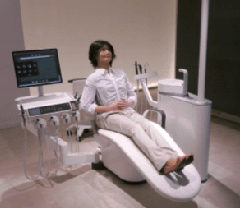 The humanoid robot closely resembles a human being and is able to respond to questions or commands as well as simulate patient reactions to dental treatment such as gagging and pain. Training with SIMROID® allows the trainees feel as if they are actually treating a real patient rather than a static mannequin. The specialized software can view, save, and replay video recordings of the training session as well as providing a means to create a wide range of clinical scenarios to practice. SIMROID® will be invaluable as a means to improve interpersonal communication between dentists and patients by allowing, for the first time, a way to comprehensively and objectively evaluate this essential part of a dentist’s education. Ultra High Sensitivity and High-speed Image Sensor Brookman Technology, Inc.
High Purity 99mTc Recovery Process from (n,γ)99Mo for Diagnostic Radiopharmaceuticals Kaken Inc.
Omni-directional gamma-ray detector Hitachi Aloka Medical, Ltd.
High-durability and high-speed taste sensor for quality control using artificial lipid membrane Intelligent Sensor Technology, Inc. 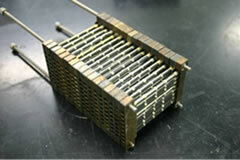 Carbon nano tube liquid phase synthesis device Microphase Co., Ltd. Fabric with Itching-sedative Function Daiwabo Neu Co., Ltd.
Manufacturing technology of water- O for PET cancer diagnosis Taiyo Nippon Sanso Corp.
Other articles are coming soon. Copyright(c) JAPAN SCIENCE AND TECHNOLOGY AGENCY. All rights reserved.